Allai is set in the Massari river valley, encircled by hills clad in Mediterranean vegetation – myrtle bushes and arbutus, oak and mastic trees – at the feet of monte Grighine, from whose summit you can enjoy views of the giare, Montiferru and Gennargentu. It is a small Barigadu village within the province of Oristano that is home to less than 400 inhabitants. Documentary evidence of it dates to 1341 when, under Spanish control, it appeared as Alay. The modern name dates to the early XIX century. The village is graced with courtyard houses made of dark stone and embellished with decorative murals. At the centre is the Catalan-Gothic parish Church of the Santo Spirito, built between the XVI and XVII centuries. It features a single nave with a sequence of pointed arches and a variety of niche chapels. The largest of these has a cross vault ceiling and is home to a holy water font from the XI century. It has undergone a variety of changes over time. The door, rosette and some of the interior are original. Craftsmanship has long been an important local tradition and iscannos, chairs with woven cane seats, are a local speciality. 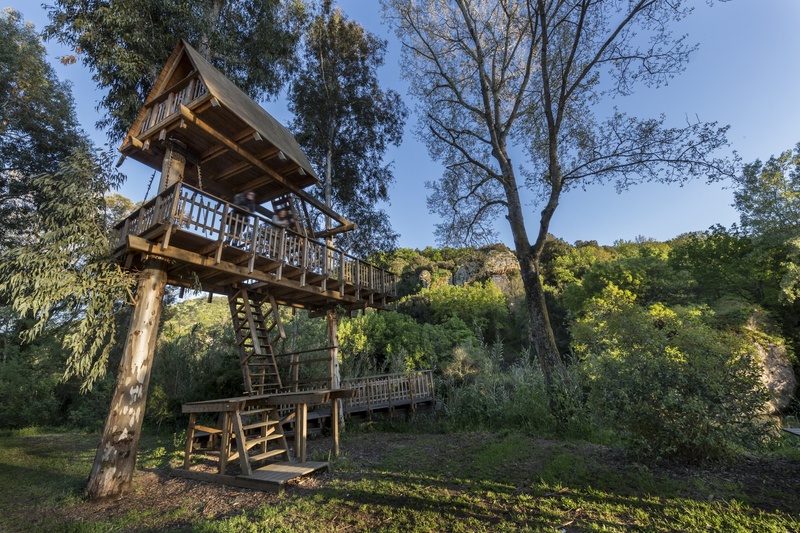 Do not miss seeing the casa sull’albero (tree-house) made entirely of wood. A few hundred metres outside of town, over the Massari river, are the remains of a Roman bridge, the su ponti ecciu, which was the only route from Forum Traiani (Fordongianus) to the hinterland. 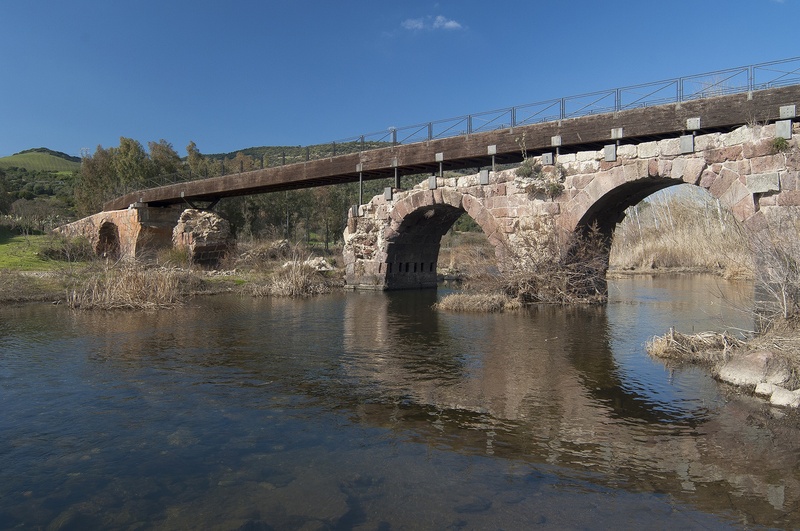 It was restored in the times of the Giudicati (IX-XV century) and remained in use for some two thousand years, until the early 20th century, when the new - or su ponte nou - bridge was built. 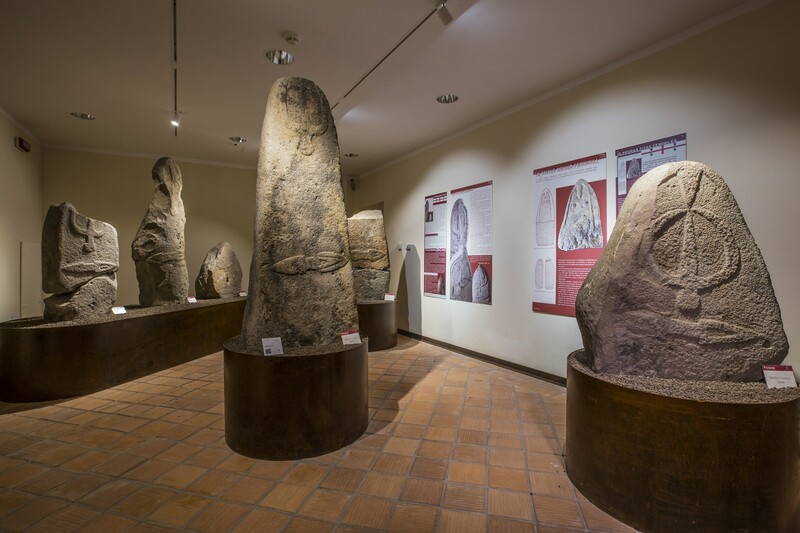 A remarkable and varied group of statue menhirs, among the island’s most important ones, were found at the Pranu Orisa site. Most of the perdas fittas (in Sardinian) are made of trachyte, others of white sandstone or dark porphyrite. They correspond to three types: Oval and with a convex section, a pillar that narrows towards the top, and miniature ones. They represent, figuratively, T-shaped facial designs with curved eyebrows and long triangular noses, and one with a raised up-side-down U-shaped frame at the centre of the slab. This feature often highlights a raised geometric figure with etched segments. Three of these Allai statue menhirs are on display at the museo della statuaria preistorica in Sardegna (Museum of Prehistoric Sardinian Statues) in Laconi, which houses a collection of 40 monoliths, some very large, that tell of the evolution of anthropomorphic statuary in the III millennium BCE. Not far from the from Pranu Orisa stones, which date between the Late Neolithic Age and the Copper Age (3200-1800 BCE), there are also remains of a variety of prehistoric monuments from the Bronze Age: the single-tower sa Pala ‘e sa cresia nuraghe, made out of blocks of trachyte.